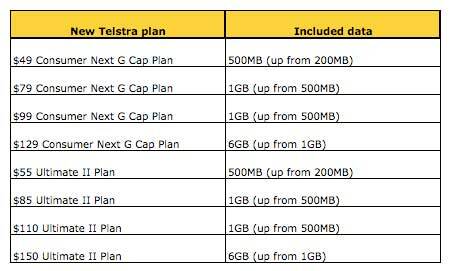 Telstra's crazy, crazy data deals! 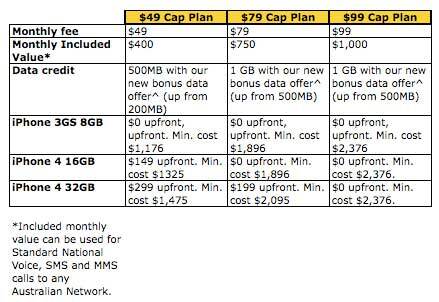 Telstra’s crazy, crazy data deals! Just other day, Telstra let the world know its iPhone 4 pricing – as did Optus, Vodafone and 3. And the Optus, Vodafone and 3 offerings were pretty damn good on the data front. So Telstra have got out the iAbacus app, crunched the numbers and stretched out their data packages on the iPhone 4, iPhone 3GS, HTC Desire and the Nokia N97 mini. Before we get to the new plans, there’s something of a catch. These aren’t permanent plans, there is a time limit on the offerings. The new plans are to be in effect from 30 July, 2010, to 1 November, 2010. You keep the data allowance for the length of your contract, but you do need to sign up as a new customer, or, for existing customers, to re-contract to the phones listed above, within the 30 July and 1 November period.